After getting the idea from Resweater, I finally got around to making dryer balls. 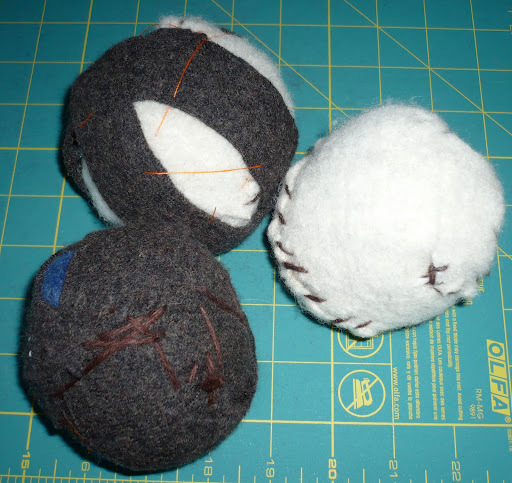 Here are the “naked” wrappped up balls of Wool scraps with some strips added to some to make them more round. They are about 2 ounces each. 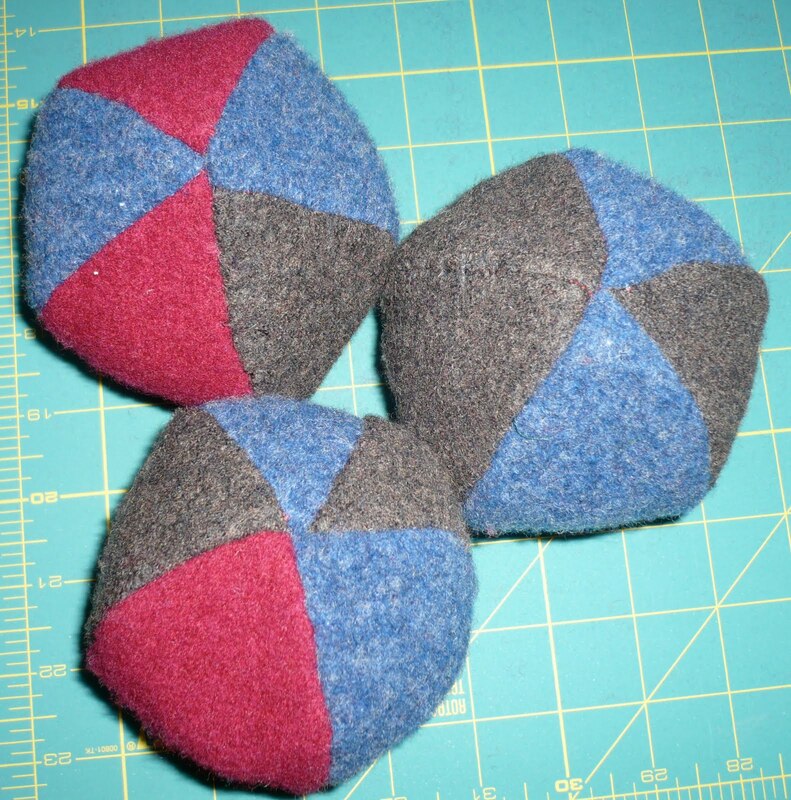 The finished balls have a covering from other sweater scraps big enough to cut the oval-ish pieces. The pattern called for 6 of the cover pieces, but I found that to be too much, so I used 5. They weigh about 3 ounces. This entry was posted in fabric, hand sewing, repurpose, reuse, sewing, sweater, up-cycle, wool. Bookmark the permalink.